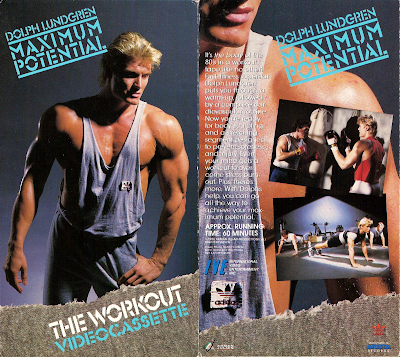 Interesting IMDB Trivia: The now-renowned directors Quentin Tarantino and Roger Avary got their first Hollywood jobs in 1986 as production assistants on this workout video. The director John Langley knew them from the video store where Tarantino was working. Not until Quentin Tarantino had arrived on location, however, did the future director receive his assignment: cleaning dog feces from the front lawn of the house in which the video was being shot. Note the heavy Adidas product placement. I procured a copy of this and my friends and I watched it during our Semi-Annual Dolph fest a few years back. What's great is, in something like this where he's not acting, he's not that different from the any of the characters he plays.